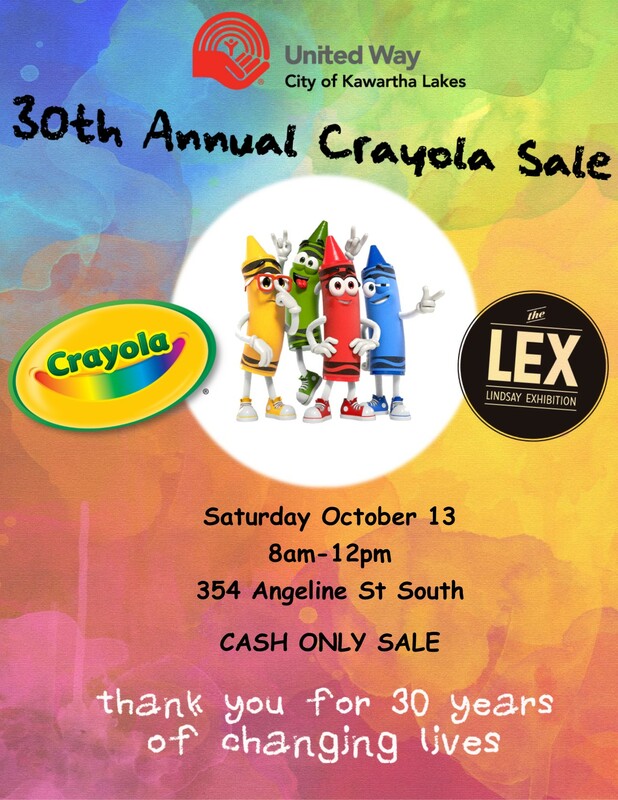 As Saturday, October 13th moves closer, plans for the 30th Annual Crayola Sale are well under way. 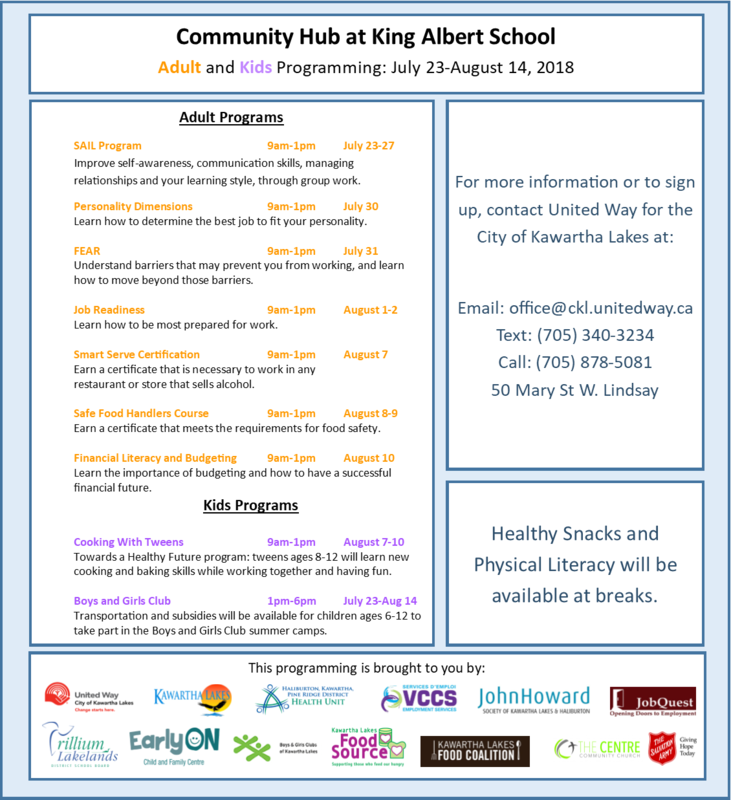 This is an exciting event as last year, the team at Crayola achieved their goal of donating more than $1,000,000 to the United Way for the City of Kawartha Lakes from the past 29 years of the sale. Crayola Canada employees volunteer their time to help run the Sale and are also heavily reliant on help from the United Way for the City of Kawartha Lakes and other dedicated volunteers. These employees and volunteers donate their time to help set up, run, and clean up after the event. 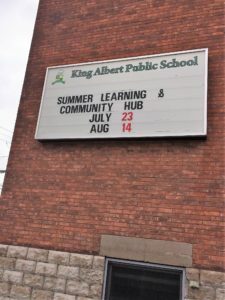 The impact that the sale creates is both local and global. Several attendees return each year to purchase Crayola products for mission trips, some people going to Mexico and Cuba or even Zimbabwe! Other attendees purchase goods for Holiday presents, or as supplies for classrooms. United Way is extremely grateful for their partnership with the Crayola Canada team and have recently launched an exciting development in this partnership. In 2019, Crayola Canada, Fleming College and United Way CKL will partner to develop 30,000 sq. ft. of unused land on the lot adjacent to the Crayola building into their largest Community Garden. 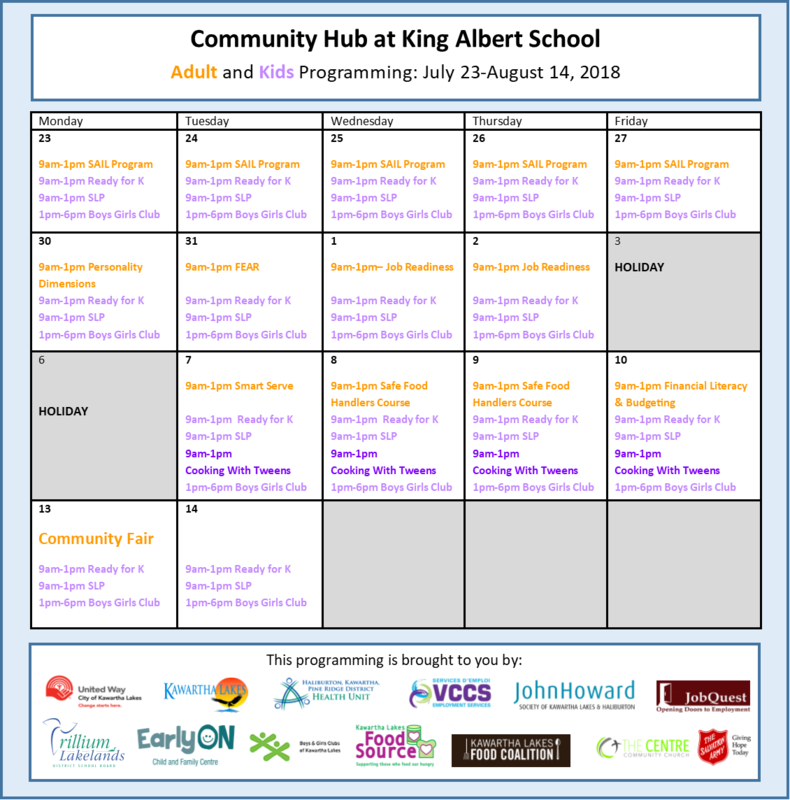 Some of the funds raised at the 30th Annual Crayola Sale will go towards this Community Garden project, which will have the capacity to provide fresh produce to hundreds of people in the City of Kawartha Lakes. The sale will take place on Saturday, October 13th from 8am-12pm at the Lindsay Exhibition Fairgrounds and is open to the public. All purchases at the sale must be made in cash.